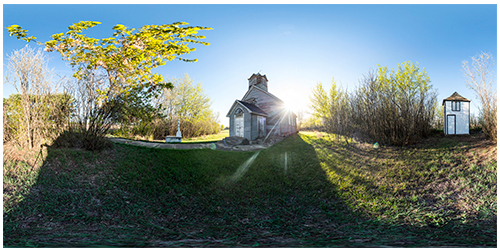 Three miles south of Saint (St.) Mary’s Romanian Orthodox Church of Boian, stands a small grey and blue church with a cemetery not 150 feet behind. This is “Biserica Ortodoxa Romana Nasterea Fecioarei Maria” of Hairy Hill. For such a small community of Romanians, one may wonder why there are two Romanian churches 3 miles apart. 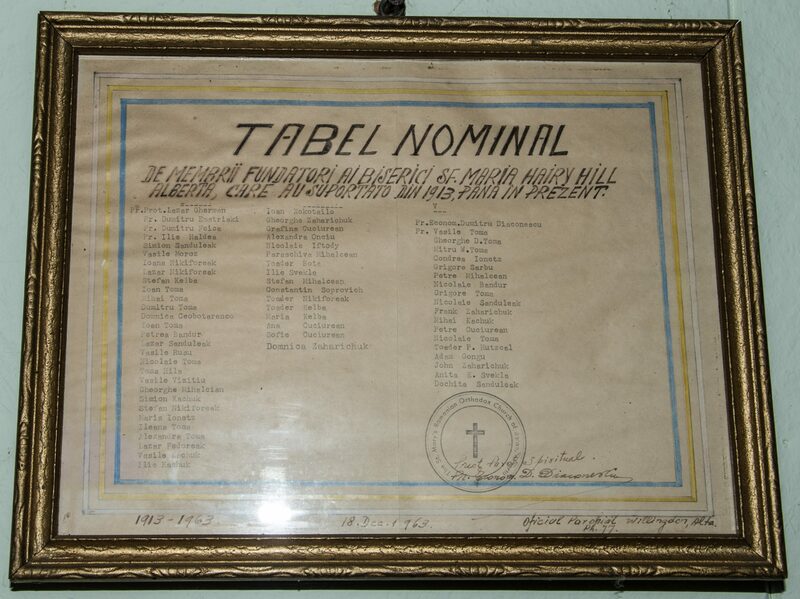 In the year 1908, the 60 old families of Romanians congregated around the church of Boian. Due to lack of Romanian priests in western Canada at that time, and because of the abundance of Russian in the area, the Parish was served by Russian priests. In the years leading up to 1908, the Romanians were getting progressively more homesick for their own language in their church. Finally, after 3 years of trying, the Romanians were able to get Father Benedict Eliescu to come from Roleau, Saskatchewan to serve their spiritual needs. But this was of only 2 months duration. The two months that Father Eliescu served did not make the Russian Church – goers happy, for Father Eliescu was served in Romanian and not in Russian. After the departure of Father Eliescu, the Romanians and Russians became entangled in misunderstandings which led then to court. The judge, seeing that the Romanians and Russians could not agree on anything pertaining to Church affairs, and seeing that the Russians were more numerous and much stronger, advised the Romanians to build their own church. Canada”, was chosen and a constitution was drawn up and later registered. After 2 years of hard work and many sacrifices the Church was built on a three – acre plot of land that belonged Vasile Moroz. The finished Church measured 36 feet long and 24 feet wide. The consecration was performed in true Romanian Orthodox manner by Father Archimandrite Silvestru Ionescu on August 14, 1914. Father Ionescu was under direct canonical jurisdiction of the Metropolitanate of Moldova and Suceava. The formal approval for consecration was given by his Eminence Metropolitan Pimen of Iasi, Romania. The Church was being served by Father Teodosie Nica who was also serving the Holy Ghost Romanian Orthodox Parish of Hamlin. Following the death of Fr. Ionescu in 1915, Fr. Teodosie Nica was called to replace him and St. Mary’s was without a priest. A lay reader, Dumitru Fieca, sang Matin Services only on Sunday or Feast Days. 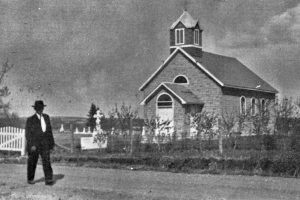 In 1919 Father Dumitru Iastrimschi along with his family from Lethbridge, Alberta came to serve the congregation, and convinced the Boian Parish that it would be better to serve both parishes. After two years the parish again was without a priest. The 1917 Russian Revolution had just taken place and the Ukrainian people in Canada were beginning to organize themselves into a National Churches. Many Ukrainian traveled the continent to help the cause. One of these priests to come to serve at Boian was Dr. Lazar Gherman who studied at the famous Romanian Theological University in Cernauti in Bucovina. He also served at Hairy Hill Church until about 1923 when he left for the U.S.A.. Dr. Lazar Gherman guided and advised Dumitru Fieca to enter the priesthood. He did and was ordained in the Romanian Orthodox Church of Hairy Hill by a Syrian Bishop. Up until now the Church of Boian and Hairy Hill were separated. After petitioning Winnipeg in 1924, the Bishop of Winnipeg sent Vasile Cohan to serve at Boian. 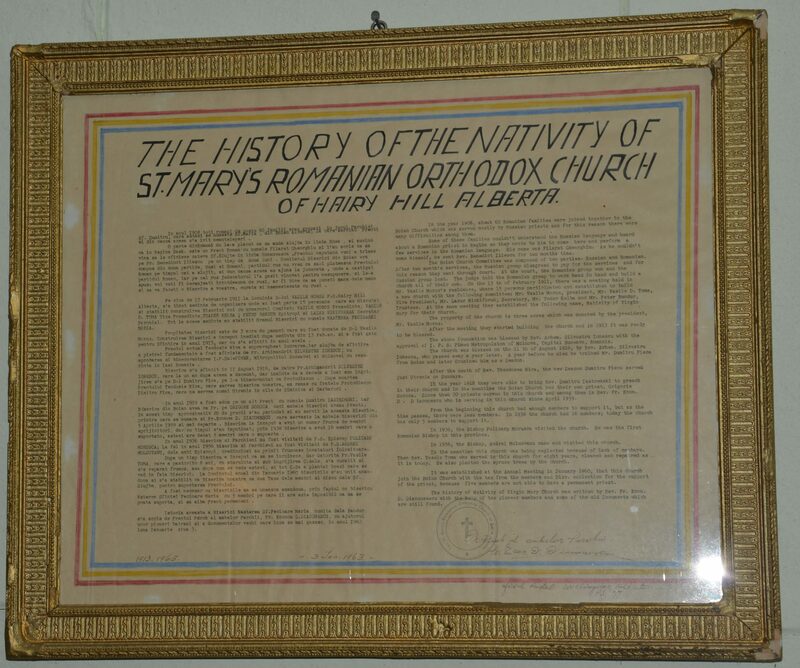 In the years leading up to the arrival of Father Cohan, the Romanians were able to slowly affirm themselves in the Boian Church Council. The Russians had to accept Father Cohan for he was sent by their own bishop. Father Cohan, being Romanian, was also able to serve at Hairy Hill. As time progressed, the Russians presence was felt less and less and as the weeks went by there were only 2 or 3 Russians left in the parish. The day came when the Romanians saw themselves masters in their own churches. Feather Cohan served two terms at Boian and Hairy Hill, 1924 – 1929 and 1932 – 1937. Services within the two parishes were usually divided equally whenever one priest was available. Occasions had arisen where each parish had its own priest. The parishes were small and could not support a priest for very long. At the time Fr. Cohan served at Hairy Hill. In 1937, the first Romanian Bishop, His Grace Policarp visited the vestern Canadian parishes including Hairy Hill. Between 1958 – 1963 Saint Mary’s was visited by his Grace Bishop Andrei, and in 1967 His Grace Bishop Victorin made canonical visits and served the Divine Liturgy in the church. Two among the “Old Timer” members of the Parishes, who were later ordained and served here, were Father Dumitru Fieca and Father Vasile Toma. The Church’s First Vice – President, Father Toma, later helped organize and found the parishes of Pierceland and Marcelin in Saskatchewan. The members of Saint Mary’s are now members of Boian and both Parishes are one. Services are perfomed at the Hairy Hill Church on the Patron Saint Day and day of the Blessing of the Graves. On July 21, 1973 His Eminence Archbishop Victorin, the clergy and delegates of the 42nd Annual Congress of the Romanian Orthodox Missionary Episcopate in America, along with the “Casa Romana” from the Holy Trinity Romanian Orthodox Cathedral of Detroit, stopped and prayers were read for those pioneers who helped found and build the Church, and who now are resting peacefully in the church cemetery. 14. 1969 Father Mircea Panciuk.